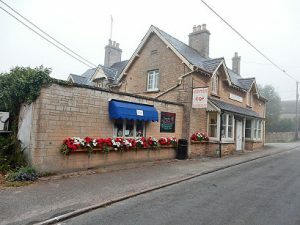 Chadlington is a village that stands out for many reasons – its vibrant community spirit, its well-used little high street and, above all, its famous village store. In 2001, when the village store was set to close down, the determined people of Chadlington put together a plan to keep the shop running. Since then, the store has formed an important part of life in Chadlington, providing top-quality food and a warm welcome to boot. What makes Chadlington Quality Foods so special is its true ‘village store’ feel. The shelves are lined with store-cupboard essentials, many made by local and independent producers . The cheese counter offers an outstanding array of fine cheeses and the deli counter a tempting collection of meats too. The CQF shop has just been given a ‘facelift’, to create a more airy and open space to browse and shop. 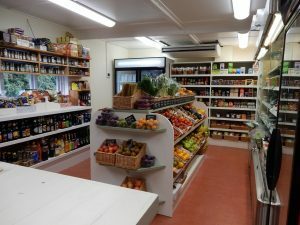 Local people who grow their own produce supply some of the fresh fruits and vegetables for sale in the shop and the talented team are busy in the on-site kitchen every day making delicious snacks and cakes as well as luxurious jams and chutneys. They also offer a catering service ideal for gatherings or events. Pop in and have a chat to the team and they’ll do their best to suit your needs. According to The Daily Telegraph, Chadlington is “everything a village should be” – and the lovely village store is a huge part of that. Not only a vital part of everyday life for locals, but a reason for people from surrounding areas to come, stock up on fine foods and enjoy a taste of village life.